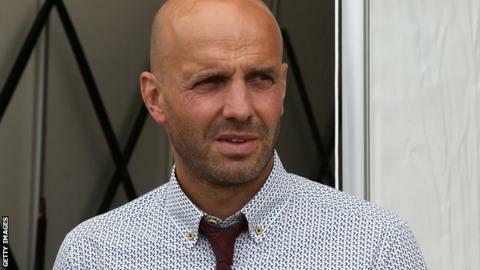 Exeter City manager Paul Tisdale was delighted after seeing his side register the club's first victory at Portsmouth since March 1923. The win was achieved on despite late fitness concerns over a number of Tisdale's squad ahead of the game. "With the circumstances leading up to the game we felt we needed this type of performance and I'm so proud of the players," he told BBC Radio Devon. "I couldn't have predicted the team I was going to pick." The Grecians won 2-1 with goals by David Wheeler and Aaron Davies in what was only their eighth game at Fratton Park since their last win there 92 years ago. "In the last 24 hours as there were so many players who had stiffness, soreness and possible injury," Tisdale continued. "I couldn't predict that we'd have Will Hoskins in midfield and Tom McCready at right-back, it was just one of games where every five minutes something else happened and we just had to stay with it. "It's a great place to play and I'm really proud of the players."